The following offer is good while supplies last. Please visit the link for eligibility. Limited time offer. Offer ends April 15 2018 7PM Central Time. Get two free vouchers to an AMSOIL Arenacross event with the purchase of $75 or more. 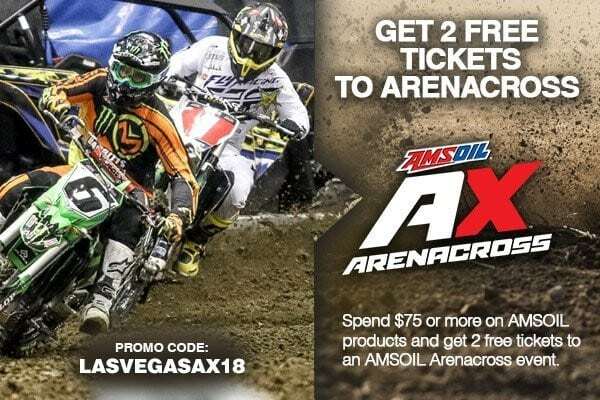 Use promo code LASVEGASAX18 when you spend $75 or more online to receive two free Arenacross vouchers with your shipment of AMSOIL products. Terms and conditions apply. 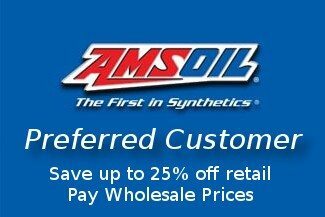 Join the AMSOIL Preferred Customer program and save up to 25% on AMSOIL products. 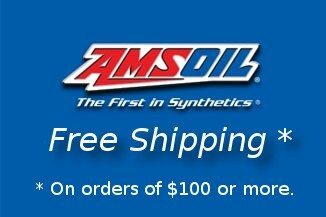 Receive exclusive offers and collect points to redeem discounts on your future orders of AMSOIL products. AMSOIL is proud to be the title sponsor for AMSOIL Arenacross.